Cabaret Voltaire were a British music group from Sheffield, England. Initially composed of Stephen Mallinder, Richard H. Kirk, and Chris Watson, the group was named after the Cabaret Voltaire, a nightclub in Zürich, Switzerland, that was a centre for the early Dada movement. Their earliest performances were Dada-influenced performance art, but Cabaret Voltaire later developed into one of the most prolific and important groups to blend pop with dance music, techno, dub, house and experimental electronic music. 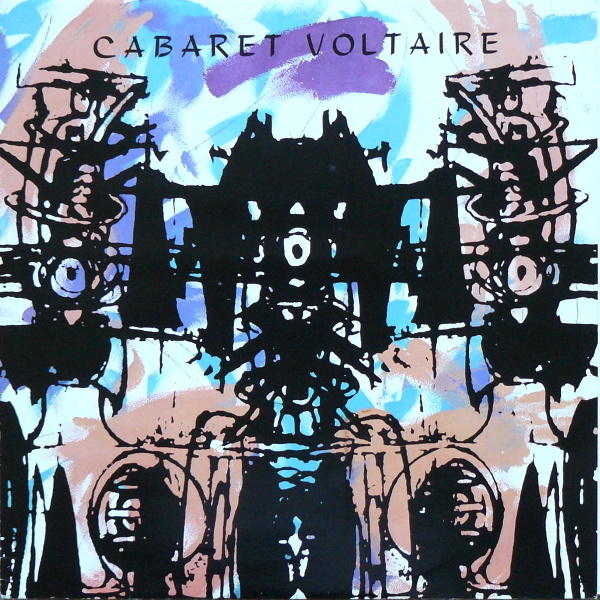 In 1983, coinciding with the departure of Watson (who went on to found The Hafler Trio with Andrew M. McKenzie before becoming a BBC sound engineer and then a soloist), Cabaret Voltaire decided consciously to turn in a more commercial direction, with the album The Crackdown on Some Bizzare / Virgin Records. This decision was rewarded with the album reaching number 31 in the UK Albums Chart- over 60 places higher than their previous (and then only) chart placing. In 1984, the singles “Sensoria” and “James Brown” from the album Micro-Phonies (also on Virgin) charted on the UK Indie Chart, as well as getting play in the underground dance scene. The 12″ single release of “Sensoria” featured a remix by John “Tokes” Potoker.